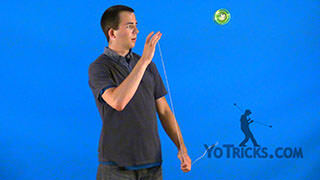 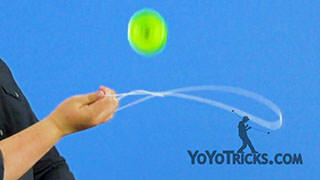 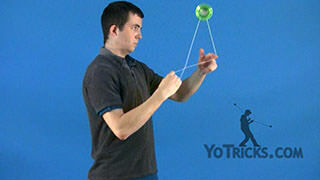 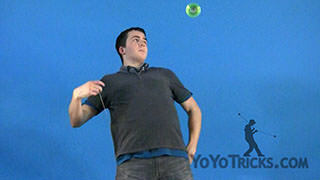 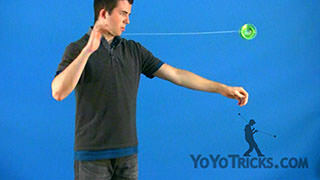 Learn the basic offstring toss and catch yoyo trick. 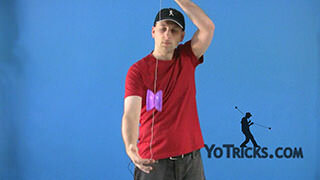 Toss and Catch Offstring Yoyo TrickWhen you are getting into offstring yoyoing (4A), one of the things you are going to be doing a lot is just tossing the yoyo up and catching it in different configurations. 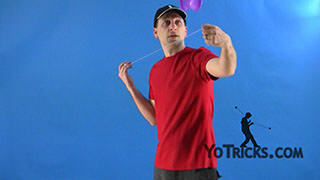 What I am going to teach you in this video is just the most basic toss and catch that you can do. 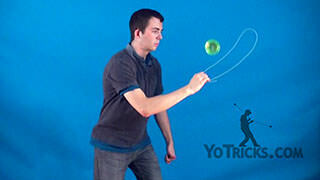 Now you might think that the most basic toss would be to just spread your hands apart and catch the yoyo like this, but actually that is not quite as controlled as this other toss that I am going to teach you. 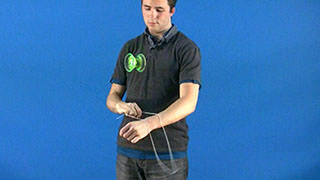 So a lot of guys don’t really do it that way. 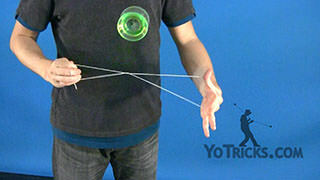 The more normal way to do it is to just grab the top string, just like this, and then just pull your hands apart. 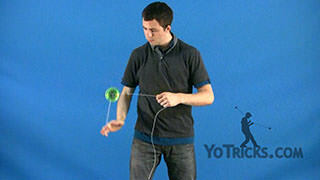 Now if you were to just pull your hands straight apart the yoyo would just go into that top string and that is a different trick, we’ll show you that later. 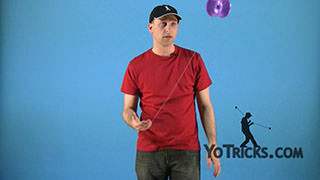 If you want the yoyo to come outside of the string, you need to actually move the top string out of the way a little bit. 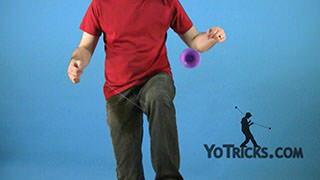 There are two ways you can do it. 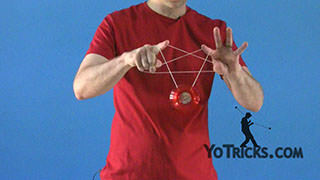 One, you can take your yoyo hand and just twist it. 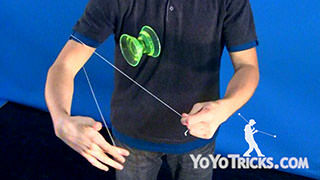 When you do that it moves the string out of the way so that your yoyo doesn’t hit it on the way up. 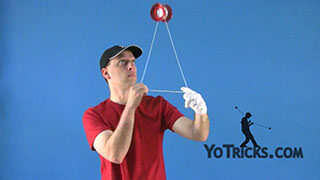 The other thing you can do is use your opposite hand. 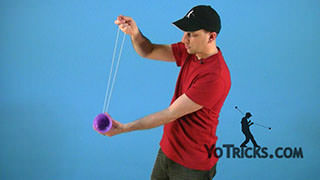 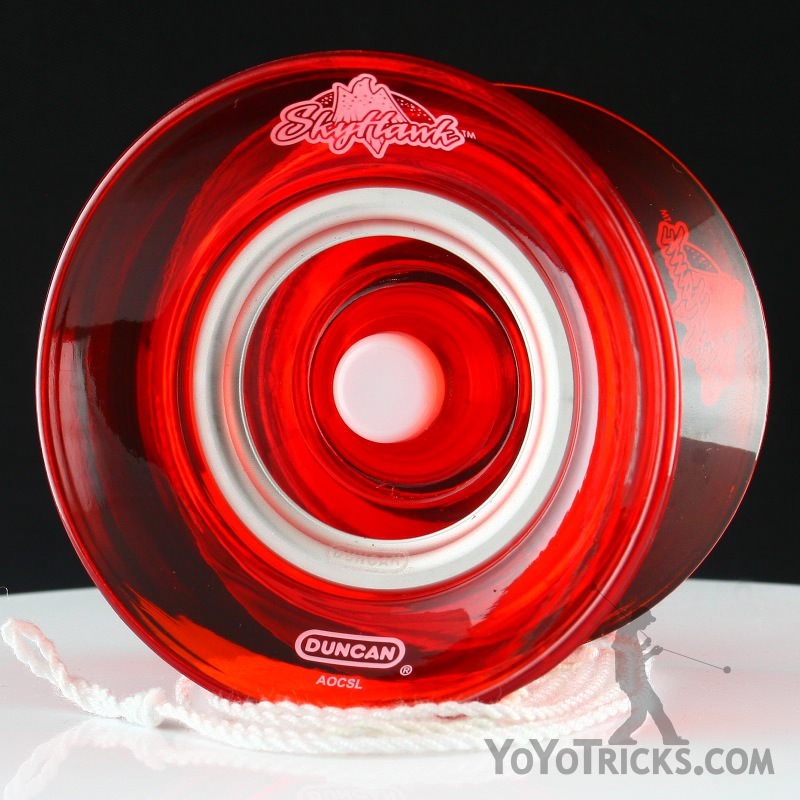 In this case you would just stick your thumb in and move the top string off to the side, and that can also create that same room so that the yoyo is not bouncing straight up into the string. 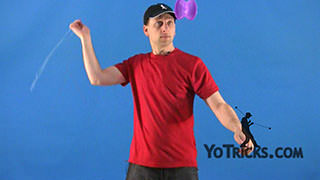 One thing that you will notice that I do is I tend to leave all the fingers in the string when I am doing this basic toss. 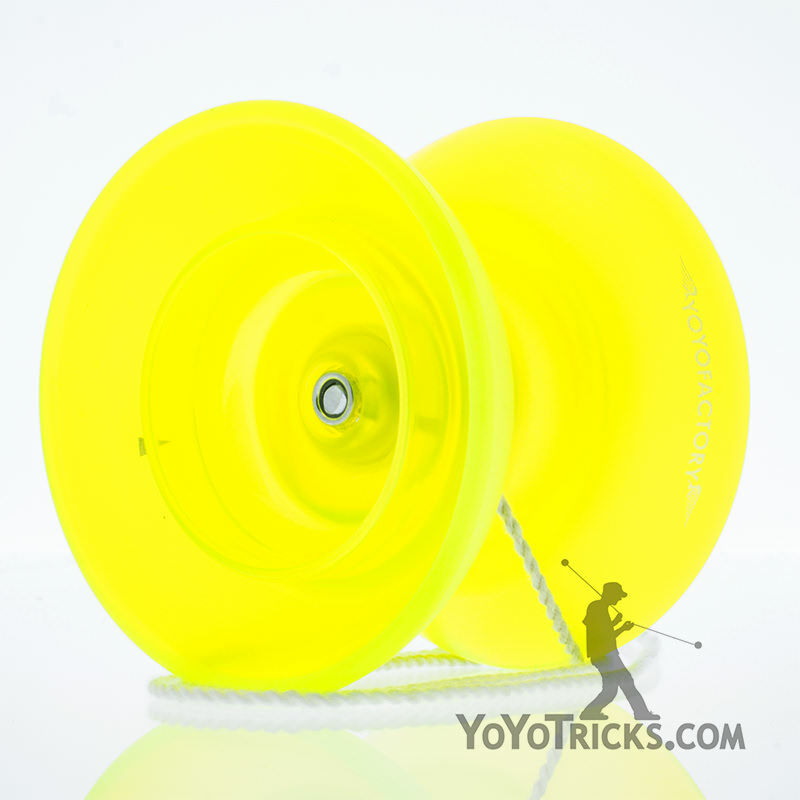 That just gives you a little bit more versatility. 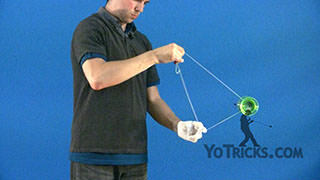 It gives you a little bit more control, and there are some different things that you can do. 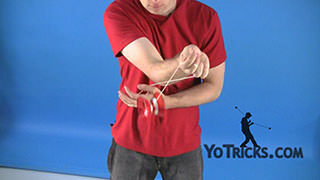 If you leave your thumb in the string on your opposite hand, you can use that to rotate the string so that you can catch it on other strings, just like this. 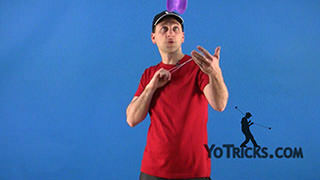 That is really just the most basic trick that you can do with this toss. 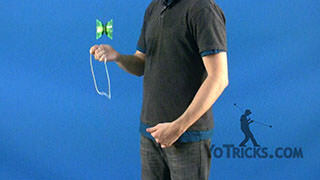 Just work on those things, get used to twisting your hands and see what you prefer. 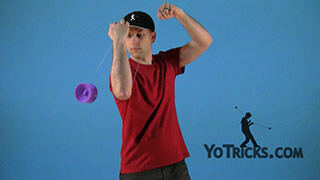 Once you get it down that’s your basic toss and catch.